Butterfingers will celebrate the anniversary of their debut album, with a national tour that will visit Sooki Lounge. 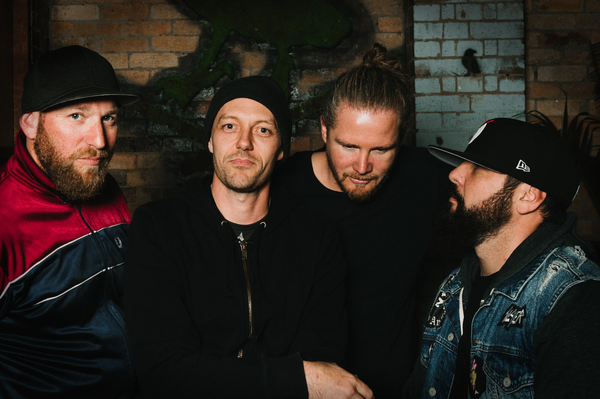 Brisbane hip-hop outfit Butterfingers are set to hit the road next year, celebrating the 15th anniversary of their iconic debut record. Back in May of 2004, the world of Aussie hip-hop was turned upside down when Butterfingers released Breakfast At Fatboys, a 13-track effort that blended elements of hip-hop, rock, and punk with the band’s witty lyrics. Now, 15 years later, Butterfingers are set to celebrate the anniversary of their amazing debut, with a national tour that will visit Sooki Lounge. “We’re super stoked to be hitting the road for the anniversary tour of Breakfast At Fatboys, and can’t believe it’s been 15 years,” frontman Evil Eddie said. Supporting the group on all of these shows will be none other than Fresh Violet, who will be helping the group turn this into a pretty special affair, with some special moments taking place throughout the tour. “Playing some of those old tunes that we haven’t touched for so long is the obvious one but there’s a specific track with the classy title of ‘Piss On Ya’ that always gets requested at shows but since it features a female emcee who isn’t a regular member of the band, we’ve hardly ever performed it live,” Evil Eddie continues. Butterfingers will be playing at Sooki Lounge in Belgrave on Sunday March 24.